Start off your visit on the 27th (Sat): try your luck at Paris Las Vegas, then try your luck at Bellagio Hotel and Casino, and then see the interesting displays at The Neon Museum. Get ready for a full day of sightseeing on the next day: examine the collection at The Mob Museum, then shop like a local with The Strip, and then admire the local landmark of Bellagio Fountains. For more things to do, traveler tips, other places to visit, and other tourist information, refer to the Las Vegas route app . Monroe to Las Vegas is an approximately 6.5-hour flight. You can also drive. The time zone difference moving from Central Standard Time to Pacific Standard Time is minus 2 hours. Expect a daytime high around 80°F in April, and nighttime lows around 57°F. Finish your sightseeing early on the 28th (Sun) so you can travel to Grand Canyon National Park. Get some cultural insight at Kolb Studio and Hermit's Rest. Step out of the city life by going to Rim Trail and Bright Angel Trail. There's more to do: explore the stunning scenery at Grand Canyon South Rim and trek along South Kaibab Trail. To find more things to do and tourist information, refer to the Grand Canyon National Park trip planner . Do a combination of car and flight from Las Vegas to Grand Canyon National Park in 4.5 hours. Alternatively, you can drive; or take a shuttle. Traveling from Las Vegas to Grand Canyon National Park, you'll lose 1 hour due to the time zone difference. When traveling from Las Vegas in April, plan for a bit cooler days in Grand Canyon National Park, with highs around 62°F, while nights are colder with lows around 26°F. Finish your sightseeing early on the 1st (Wed) so you can drive to Los Angeles. 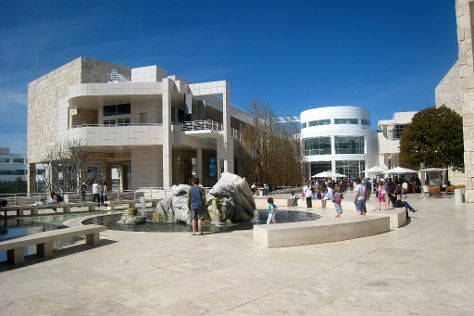 Kick off your visit on the 2nd (Thu): see the interesting displays at The Getty Center, then admire the masterpieces at Los Angeles County Museum of Art, and then see the sky in a new way at Griffith Observatory. Get ready for a full day of sightseeing on the next day: get a new perspective on nature at La Brea Tar Pits and Museum, shop like a local with Hammer Museum, then wander the streets of Montana Avenue, and finally get to know the fascinating history of Santa Monica Pier. To see traveler tips, maps, other places to visit, and other tourist information, refer to the Los Angeles trip itinerary tool . You can drive from Grand Canyon National Park to Los Angeles in 7.5 hours. Other options are to do a combination of bus and flight; or do a combination of shuttle and flight. The time zone difference moving from Mountain Standard Time to Pacific Standard Time is minus 1 hour. While traveling from Grand Canyon National Park, expect somewhat warmer days and much warmer nights in Los Angeles, ranging from highs of 75°F to lows of 59°F. Finish your sightseeing early on the 3rd (Fri) so you can travel to Yosemite National Park. Visiting North Dome and Cathedral Beach Picnic Area will get you outdoors. Spend the 4th (Sat) exploring nature at Elizabeth Lake, Yosemite National Park. 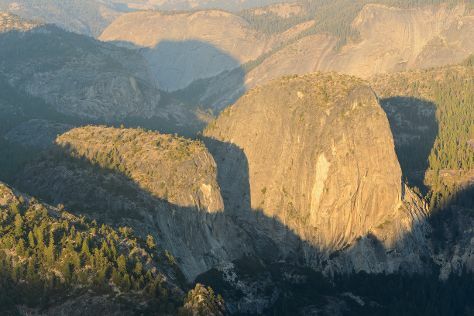 Next up on the itinerary: identify plant and animal life at Nature Center at Happy Isles, take in the dramatic natural features at Glacier Point, take some stellar pictures from Tunnel View, and don't miss a visit to Olmsted Point. For traveler tips, ratings, photos, and other tourist information, use the Yosemite National Park road trip planning site . You can do a combination of flight and car from Los Angeles to Yosemite National Park in 4.5 hours. Other options are to drive; or do a combination of flight and bus. When traveling from Los Angeles in May, plan for slightly colder days and cooler nights in Yosemite National Park: temperatures range from 65°F by day to 34°F at night. Finish your sightseeing early on the 6th (Mon) so you can drive to San Francisco. Take a break from the city and head to Alcatraz Island and Twin Peaks. Get a sense of the local culture at Fisherman's Wharf and Union Square. There's much more to do: snap pictures at Golden Gate Bridge, take a stroll through SoMa, see the interesting displays at Exploratorium, and admire all the interesting features of Golden Gate Park. For where to stay, photos, more things to do, and other tourist information, read our San Francisco trip planner . Traveling by car from Yosemite National Park to San Francisco takes 4 hours. Alternatively, you can do a combination of car and flight; or do a combination of bus and flight. Plan for somewhat warmer nights when traveling from Yosemite National Park in May since evenings lows in San Francisco dip to 53°F. Wrap up your sightseeing on the 9th (Thu) early enough to travel to New York City. Your inner history buff will appreciate 9/11 Memorial and Ellis Island. The Metropolitan Museum of Art and Times Square are good opportunities to explore the local culture. There's still lots to do: take in the pleasant sights at Central Park, take in the spiritual surroundings of St. Paul's Chapel, appreciate the extensive heritage of World Trade Center Memorial Foundation, and explore the world behind art at The Museum of Modern Art (MoMA). To find reviews, photos, other places to visit, and tourist information, refer to the New York City sightseeing planning app . Do a combination of flight and bus from San Francisco to New York City in 9 hours. Alternatively, you can fly; or drive. Due to the time zone difference, you'll lose 3 hours traveling from San Francisco to New York City. In May, daytime highs in New York City are 69°F, while nighttime lows are 55°F. Finish up your sightseeing early on the 13th (Mon) so you can travel to Key West. Kick off your visit on the 14th (Tue): take in the exciting artwork at Alan S. Maltz Gallery, look for all kinds of wild species at Key West Butterfly & Nature Conservatory, then steep yourself in history at Truman Little White House, then examine the collection at The Ernest Hemingway Home and Museum, and finally explore the different monuments and memorials at Key West Cemetery. Get ready for a full day of sightseeing on the next day: admire the natural beauty at Audubon House & Tropical Gardens, stop by Isle Cook Key West, and then get a new perspective on things with Boat Tours & Water Sports. To see reviews, traveler tips, more things to do, and other tourist information, read our Key West trip itinerary maker tool . Traveling by combination of bus and flight from New York City to Key West takes 6 hours. Alternatively, you can fly; or drive. While traveling from New York City, expect a bit warmer days and warmer nights in Key West, ranging from highs of 85°F to lows of 77°F. Cap off your sightseeing on the 15th (Wed) early enough to travel back home.